– This artist’s rendering provided by NASA and JPL-Caltech shows the Juno spacecraft above the planet Jupiter. NASA’s Juno camera captures this striking image of ‘crescent Jupiter with the iconic Great Red Spot’ – A must-see photo! 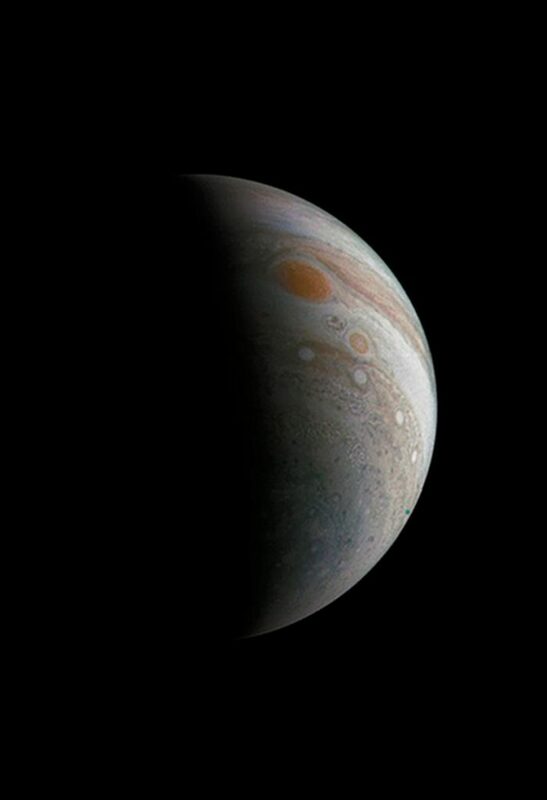 – New Delhi: Using data from NASA’s historic mission to Jupiter – Juno mission – a citizen scientist named Roman Tkachenko has created a spectacular image of a crescent Jupiter with the iconic Great Red Spot in it. – This image of a crescent Jupiter and the iconic Great Red Spot was created by a citizen scientist (Roman Tkachenko) using data from Juno’s JunoCam instrument.